Whether you’re at home or eating out, you want your steak just the way you like it—rare, medium or well-done. And because we know how important these simple, daily pleasures are, T-fal has created the Optigrill. Once upon a time, cooking meat for the whole family was a complicated affair. What with the kids wanting it well-done and you preferring it rare, you basically needed a separate frying pan for each person! 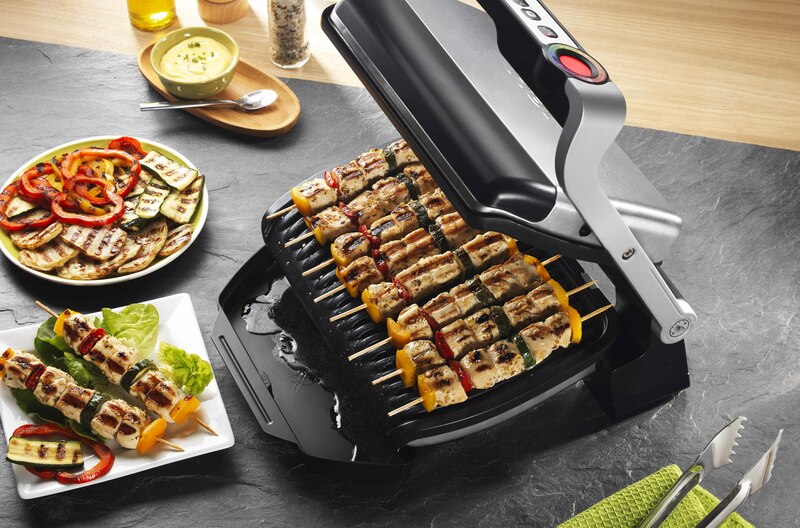 So to make everyone’s life simpler, T-fal has created the Optigrill—an incredibly intelligent and highly practical grill that everyone will love! The first thing you’ll notice about this new-generation grill is its cooking sensor, which automatically adapts both the temperature and the cooking time to the thickness and number of meat cuts. And to make absolutely certain that you get it right every time, all you have to do is keep an eye on your Optigrill’s cooking level indicator, which glows from yellow for rare to red for well-done. And because you’ll want it to cook more than just meat, the OptiGrill features a number of other programmes for cooking fish or even toasted sandwiches and paninis, all in the blink of an eye! Or use it for grilling your favourite vegetables—they’ll turn out deliciously juicy and melt-in-the-mouth. Plus, the grill plates are easy to remove and dish-washer safe to make clean-up a breeze. Added bonus: Features a defrost mode for cooking frozen meat from scratch. Perfect for busy families!